22% of B2B sales reps are expected to be made redundant by 2020. Especially sales reps working as “order takers” or “explainers” will go away as buyers educate themselves and place their orders through digital channels. The first signs are already here, with studies indicating that +55% of sales reps are now not meeting their sales targets. The requirements for success are tall for the modern B2B sales rep. There are now almost 7 people involved in the average B2B buying decision, new digital tools must be mastered to work and communicate effectively and the customer buys in a world of almost complete information and transparency. In complex sales, the performance gap between top and average sales reps is 300% and this is widening as the average rep is experiencing a more complex buying environment. However, the majority of B2B organisations are not equipping their sales reps adequately to be successful in this new buying environment. And very few commercial leaders have a clear plan for how to transform their sales and marketing organisations so that they are ready to meet new demands. Commercial success in the 21st century is about sales and marketing taking advantage of the possibilities that technology is placing right in front of them. In order to stay competitive and not be left behind, B2B sales organisations need to insist on hiring and developing the sales reps of the future. 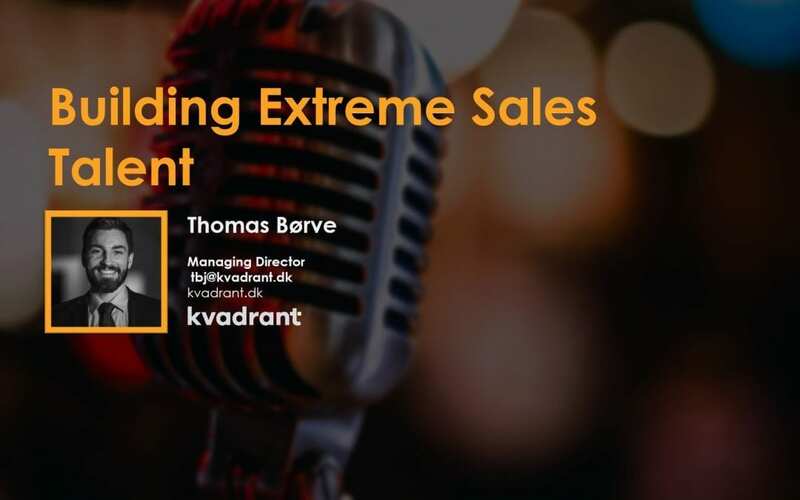 The extreme sales talent that is needed is consultative and value based at heart, know how to couple this with social selling, fuel it with content marketing and take ultimate responsibility for the micro-marketer role that is their cross to bear. They will have to know how to build a thought leadership position and create awareness along with creating engaging and valuable face-to-face interactions.